Are there particular foods, vitamins, minerals etc that are meant to be good for hair growth? I take a good multi-vitamin plus MSM, biotin and silica. Some feel the MSM, biotin and silica will increase hair growth. I found that it minimized hair fallout. You also don't want to restrict too much fat from your diet, that can have detrimental effects on your hair. How is the growing going? Haven't heard from you in awhile! What does fat do to your hair? ??? I would also like to know what fat does for your hair! Also, Bikerbraid, how much Biotin, silica and MSM do you take (also, what's MSM?)? ??? I take 1000 mg of MSM (Methylsulfonylmethane). My doctor recommended I take MSM and Glucosamine for my arthritic joints, but MSM also helps promote healthy hair folicles. I take 600 mcg of Biotin and 1000mg of Horsetail Extract (Silica). Both of these have helped reduce shedding. You probably know this, but I’ll say it anyway. 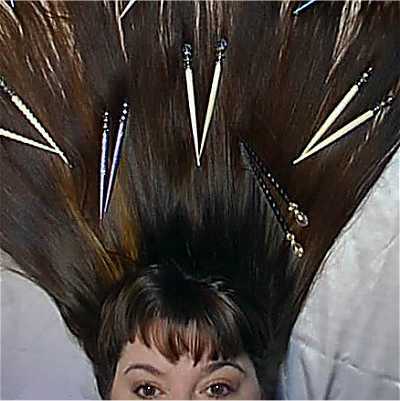 There is no way to make your hair grow faster. But there are things that can maximize the potential of your hair growing cycle. Your diet should include proteins and vitamins B, C, E, A and K. Also incorporate magnesium, copper, zinc and drink a lot of water. The Perfect Hair Style Any Day Of The Week! I don't know of anything that promotes hair growth but I had a real spurt of growth. 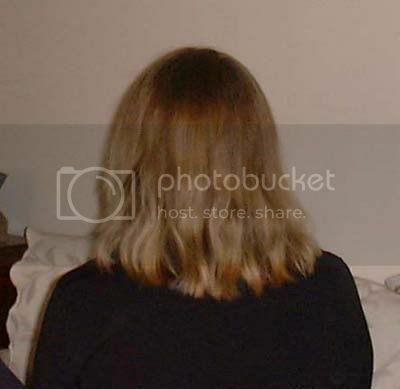 My sister was over in the UK in 2003 and her hair was longer than mine, mine was just to bhelow my shoulder blades and hers was a just below her bra strap by maybe a couple of inches. I then went to see her a year later in America and mine was longer than hers. She hadn't had her cut either. We couldn't believe it until we looked back at some photographs. I just wish I knew what I had done to make my hair grow so fast then I could pass it on to those who would like to know but sadly I have no idea.